Most people get Botox injections to achieve a more youthful look to their face. They look in the mirror and they don't like how tired they look. They don't like the lines that appear in pictures when pictures are taken. The Botox really kind of is non-invasive way to brighten up the face. This is the glabellar muscle here. It's made up of the procerus muscle, which is the largest muscle in between the brows, followed by the two corrugator muscles on the tails here. The second muscle is the frontalis, which is also your forehead and that's up here. We never treat the lower two thirds of the forehead because it can drop the brow. The third muscle is the auricularis muscle, which is the crow's feet area right here. A lot of the times people don't like their crow's feet in pictures and when they smile they're very noticeable. A really big question a lot of people have is dosaging on Botox. How much Botox do I need in each area. It does vary per patient. 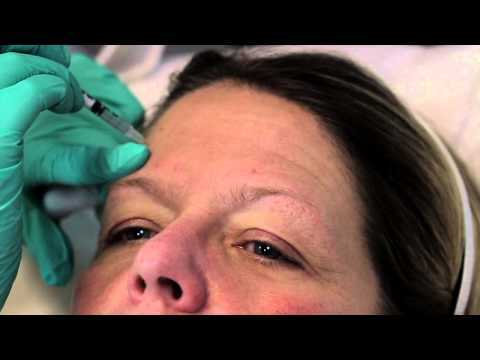 On average typically per area people require about 20 to 25 units of Botox. When I'm injecting somebody I tend to err on the side of conservative. My theory is that we can always add more Botox but we can't take it away once we put it in there. 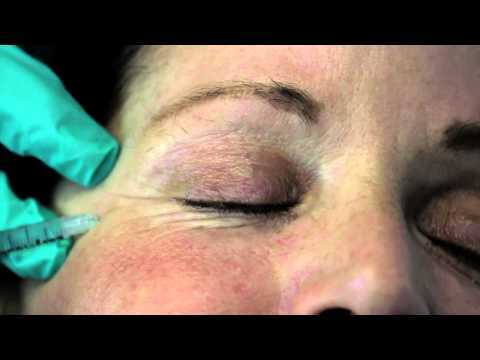 Easing into Botox, especially for first time injectors, is usually the way to go. Glabellar muscles about 20 units. Forehead is somewhere between 15 and 20 units. Each crow's feet is somewhere in between 8 to 12 units, depending on how deep and how strong your muscles are. When injecting Botox there are side effects. One of the more common side effects is bruising and sometimes a headache. These side effects do not last for every long. The headache can last for a few hours and you can take some kind of ibuprofen or Tylenol to relieve it. Bruising is a little bit more common. Everybody is a little bit different. The areas that tend to bruise a little more is the crow's feet. These commonly resolve within five to seven days and can be easily covered with makeup. The duration of Botox is different for everybody. Botox is FDA approved to last between three to four months, which is what I commonly do see, but some people do get six months out of it. There is a wide range of cost for Botox. On average Botox is $200 to $300 per muscle area group. You're talking $200 or $300 for the glabellar, $200 or $300 for the forehead, $200 to $300 for the crow's feet. If you have any questions about our specific cost, feel free to call our office.